CAIRO: Arab foreign ministers will meet early next month to discuss steps against US President Donald Trump’s recognition of Jerusalem as Israel’s capital, the Arab League said Wednesday. The meeting of the League’s Council will be held on February 1 in Cairo, its general secretariat said in a memo obtained by AFP. Trump’s decision in December to relocate the US embassy to Jerusalem from Tel Aviv sparked deadly clashes in Palestinian territories and was rejected in a non-binding UN General Assembly resolution. Jordan said on Saturday that the League would seek international recognition of the Palestinian state with east Jerusalem as its capital following the US move. 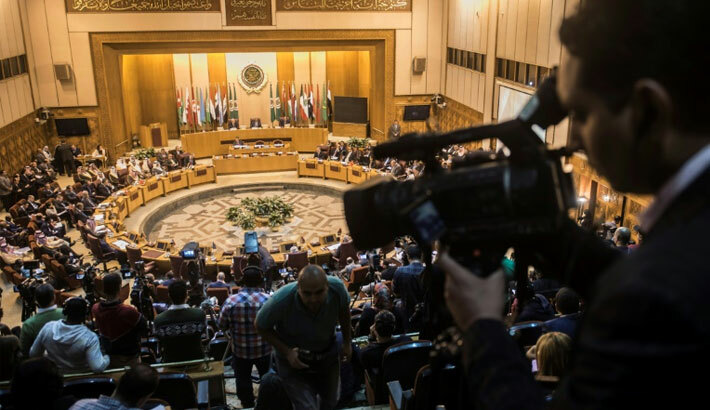 In a resolution after an emergency meeting in December, Arab foreign ministers urged the US to rescind its decision and said Washington had “withdrawn itself as a sponsor and broker” of the Israeli-Palestinian peace process.